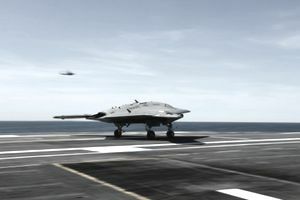 Unmanned Aerial Vehicles (UAV) aren't new to the military, but they've come into their own in the 21st century as one of the most pervasive (and controversial) weapons in the U.S. arsenal. The explosive growth in the use of UAVs has touched each branch of service, including the U.S. Army, where in contrast to the usual officer-exclusive world of manned aviation, enlisted soldiers can build a career flying remote aircraft like the Hunter and Shadow UAVs. Although it's certainly par for the course, sitting behind a computer bank working a joystick isn't the whole story for UAV operators. Though missions are flown from the ground – possibly from halfway across the globe – soldiers in military occupational specialty (MOS) 15W must be ready to prepare remote-control vehicles for launch, recover them after a successful landing, and perform basic maintenance to keep them up and running. UAV operators are also trained as intelligence analysts capable of interpreting the images and video feeds obtained from their aircraft. The goal, of course, is to give soldiers on the ground, commanders, and even (depending on the mission) senior defense officials and the president a set of eyes in the sky over the action. Recruits must begin with a high school diploma (or in some cases, an equivalent such as a GED) and take the Armed Services Vocational Aptitude Battery (ASVAB.) To qualify for entry-level training as a UAV operator, you'll need a score of 102 or higher in Surveillance and Communications. Rod Powers, also tells us in his brief on 15Ws that hopefuls must be US citizens eligible for a secret security clearance. Obviously, this is a must because unmanned aircraft are intimately involved in matters of intelligence and national security. But establishing a 15W's loyalty and trustworthiness are also vital because, at this cutting edge of warfare, US security, reputation, and international relations could be tipped into disarray all too easily by little more than a push of the wrong button. Applicants must meet physical and medical requirements common to all soldiers and possess normal color vision, essential when flying and analyzing imagery by remote camera link. Although not requirements, the Army's recruiting website also lists some "helpful skills" for those interested in the job: "Interest in remote/radio control vehicles," and the skills to "organize information and study its meaning, think and write clearly, [and exercise] attention to detail." UAV operators attend ten weeks of boot camp and then move on a long and technically intensive program of training at Fort Huachuca, Arizona. While there, soldiers are assigned to the 2nd Battalion, 13th Aviation Regiment, which according to the Army's 1st Aviation Brigade website, "operates the largest UAS training center in the world, training approximately 2,000 Soldiers, Marines, and foreign military students annually." Operators spend approximately five and a half months (21 weeks) with the 2-13th in classes with an average of 20 students each. Naturally, principles of flight are an integral part of the curriculum, including "The Federal Aviation Administration Unmanned Ground School (UGS) module [which] provides the student with the basic aeronautical knowledge and skills" according to supervisory training instructor Walter Rice in an interview with Army.mil. Soldiers learn not only how to pilot the craft by remote, but how to physically prepare them for launch, recover them after landing, and perform maintenance. Army Credentialing Opportunities On-Line doesn't list any certificates that are directly related to work as a UAV operator, but there are several "skill related" professional certifications which, though they may require further training and off-duty education, can be earned with help from the GI Bill and make soldiers more eligible for promotion. These include civilian credentialing as an aircraft electronics technician, avionics electronics technician, calibration technician, and CompTIA certified technical trainer.